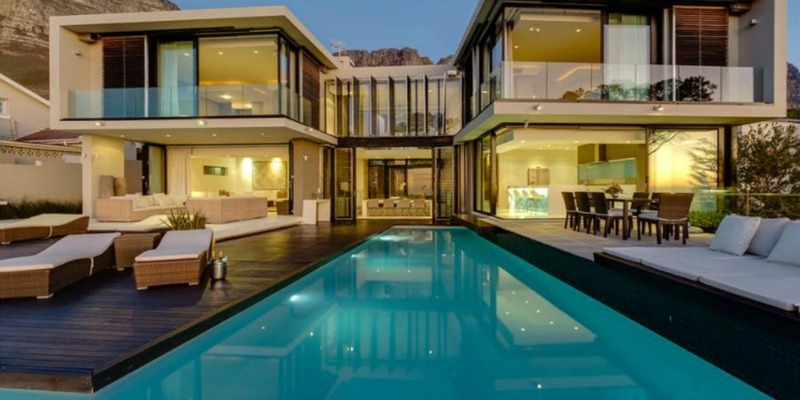 The Serenity Villa is a luxurious cosmopolitan home you will find in Camps Bay within the Atlantic Seaboard in Cape Town, South Africa. 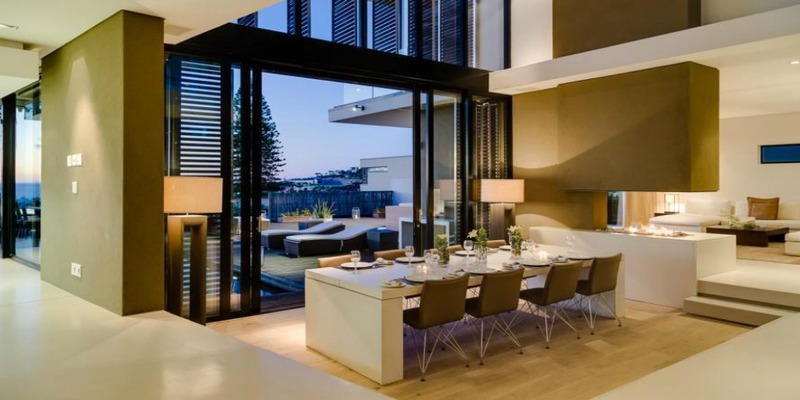 It reflects the coastal and urban lifestyles integrating sophisticated detail whether indoors or outdoors. The property offers not only the comforts of modern conveniences but remarkable views of the skies, the mountains as well as the ocean. 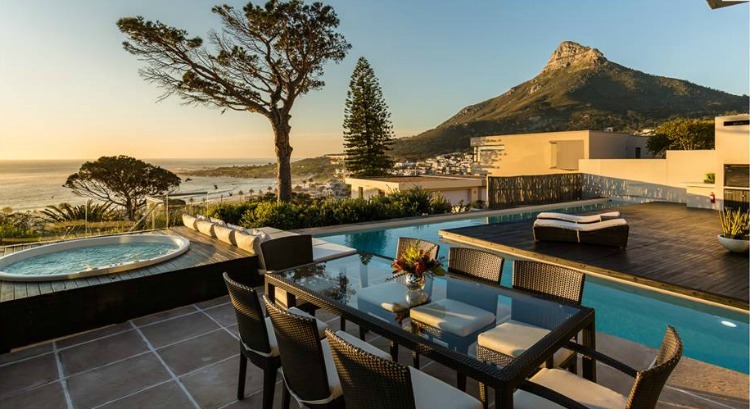 Serenity is a best value 6 star Camps Bay Villa offering luxurious accommodations in Cape Town, South Africa. This house features wide open spaces with an open plan layout that links the indoor and outdoor living spaces.You will be instantly at ease once you set foot on the sizeable lounge areas with cushioned and cosy seats in neutral colours. There are six spacious air conditioned bedrooms at the Serenity Villa. All either with a big king size bed or double beds. Each displays soft and soothing neutral shades. 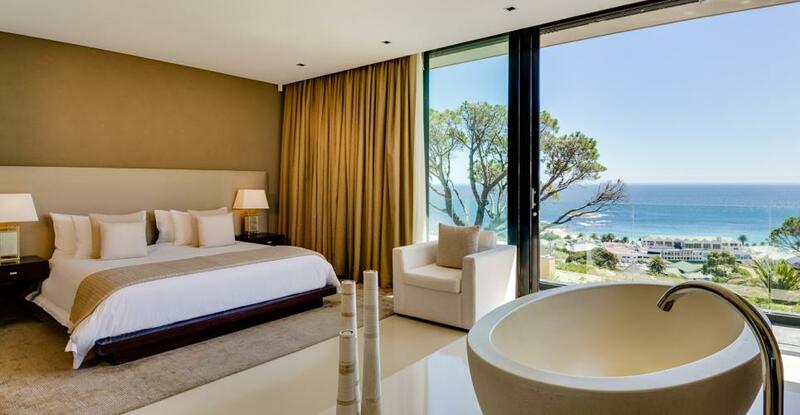 Two of these rooms have incredible ocean views with en suite bathrooms such as the one above. And the other two are facing the majestic mountains also with en suite bathrooms. The indoor dining area is simply elegant. You will eat meals on a South African custom designed white concrete table while sitting in chic and comfy suede chairs. The Serenity Villa’s open floor plan eliminates barriers connecting the dining area to the living space outside. That even when you’re dining inside you feel like you’re out on the pool deck. 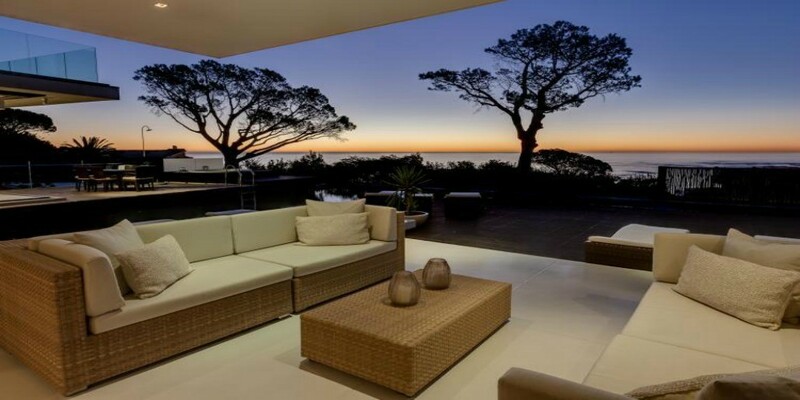 The Serenity Villa’s deck area is utterly breathtaking with a phenomenal view. Everyone will enjoy this part of the property that includes a Jacuzzi as well as an L-shaped pool covering the edge of the deck plus an outdoor shower and a steam room. There is also an outdoor lounge as well as a dining area with provisions to barbecue. The kitchen at the Serenity Villa is more than just for cooking. It is a place for shared experiences with those dear to you such as preparing meals with friends or family. Its award winning design features functionality, simplicity as well as glamour. 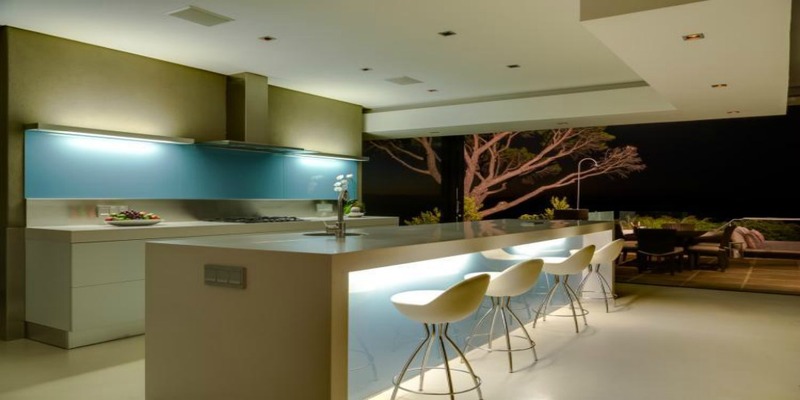 With its neat arrangement and dramatic lighting you will linger in this kitchen longer than you think. 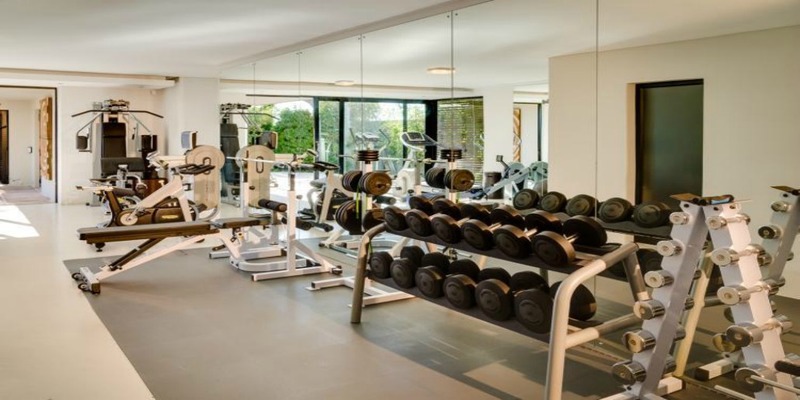 If you need to stay fit while on retreat, you will be pleased to know that the Serenity Villa has a well equipped gym. There is a music system with an ipod option that works all over the house. Entertainment facilities such as a cinema room, table tennis, foozeball, satellite televisions as well as internet connection are also provided.